The Mental Health Landscape of Texas: Key findings from this 2015 survey reveal Texans’ perceptions and awareness of mental health. See the Institute’s latest news, op-eds, and mental health coverage. Read More. 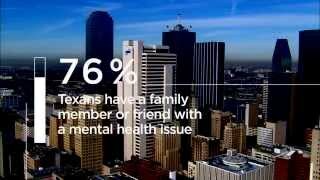 Essential information impacting the mental health of Texans. Click to download or view. Click below to view our featured videos. Visit our YouTube channel to browse through our complete video library. 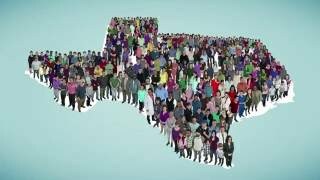 These videos highlight some of the biggest challenges to Texas’ mental health care system, why they matter, and how the Institute works to create lasting change. Key findings of the Institute’s 2015 Texas Mental Health Survey. Leadership Team, a group facilitating system-wide change in their community’s mental health systems. Five key principles guiding our work in shaping mental health public policy in Texas. Our shortage of mental health professionals is a public health crisis for Texas. A skilled behavioral health workforce is essential to the health and wellbeing of all Texans. 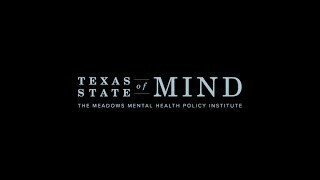 Mental Health Matters is a collaborative video project with the Mental Health Channel, KLRU, the Texas Tribune, and the Meadows Mental Health Policy Institute, that examines mental health topics through both documentary storytelling and roundtable discussions with Texas policy experts. 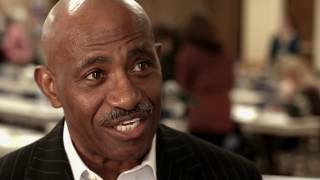 To view all Mental Health Matters videos, visit the project page here. The Panhandle kept momentum of mental health awareness in their community moving by celebrating the first anniversary of Okay to Say's campaign in the region. 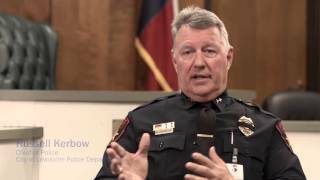 An Okay to Say media event accompanied the launch of the Panhandle Behavioral Health Alliance in Amarillo on February 15, 2017. 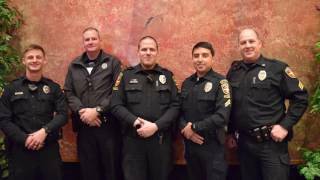 Community leaders invited members of the media and the general public to an event celebrating hope through awareness and open conversation. On May 16th Southeast Texas introduced their community to Okay to Say. The launch at the Event Centre in Beaumont welcomed members of the press and the general public, inviting them to share their stories and show their support. 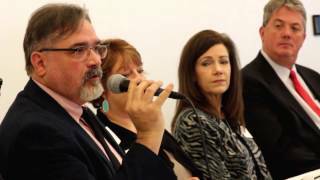 In December 2016, the Policy Institute convened the first-ever Engage and Excel conference in Austin. The day-and-a-half-long event attracted 160 local leaders from 25 communities around the state. Along with NEWCO of Grayson County and the Texoma Health Foundation, we sponsored a one-day conference to engage members of the Sherman-Denison area to talk about mental health, and how the area supports its members who face mental health challenges.